Asana provides a user-friendly but powerful project management solution for companies of all sizes, across all industries, and all business units. The highly customizable Asana platform can be used for team collaboration of all kinds, including leads management, campaign management, product development, bug tracking, day to day task management and more. 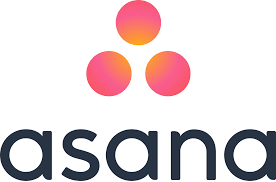 Asana is a highly customizable project management platform for team collaboration of all kinds, including campaign management, product development, bug tracking, daily task management and more. Conversations and tasks are collected all in one place, so everything is actionable, searchable and transparent.